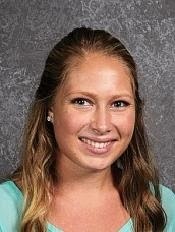 The Windham Eagle athlete of the week is 17-year-old, senior Lauren Linevitch. She is a three-sport athlete running cross country and indoor track and she plays lacrosse in the spring. The most important thing when she’s on the course or on the field is “doing the best I am able to do every race and or game. Also, being a positive role model is very important to me,” she said. After a meet she unwinds by cooling down with her team and having a Gatorade. Linevitch lives with her mom, Beth, her dad, John and her sister, Julia. Her hobbies are running and being with her friends and family. In the future she would like to be an occupational therapist here in Maine. Linevitch would like to thank coach Riddle and coach Brockelbank for all they do for her and the cross country program. She would also like to thank MacKenzie Joy, Julia Rand and the rest of the team for always pushing her to be the best. A hat trick by senior captain Morgan Richmond helps the Eagles to a win over the Red Riots. Richmond’s first half goals were assisted by junior Mattie Marcello and sophomore Hannah Skvorak. JV goalie Tessa Amero stepped up to goal with six saves on the game. Junior captain Erin Malloy, led the defensive end with two saves from shots on goal by the Riots. The Eagles are rallying to improve their 3-4 record. A tough start to the season was plagued by illness, schedule conflicts, and a 2-week loss of senior midfield captain Aleia Ansin due to a concussion. They hope to have two more wins this week over Gorham and Sanford. While coach Dillon sees her team playing tenacious defense this season, coach emphasizes that this defense needs to transition to more scoring opportunities. “This is a strong group of girls who have the ability to have a successful season,” said Dillon.